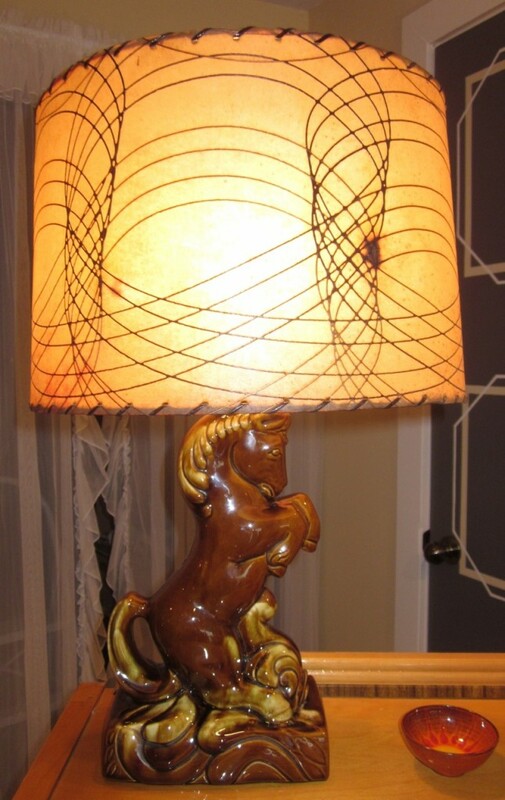 Who can explain the 50s fascination with horse lamps? We can! It was the popularity of the cowboy heroes of the 1930s and 40s – everyone from Hopalong Cassidy and the Lone Ranger to Roy Rogers and Gene Autry – which spilled over into domestic design. 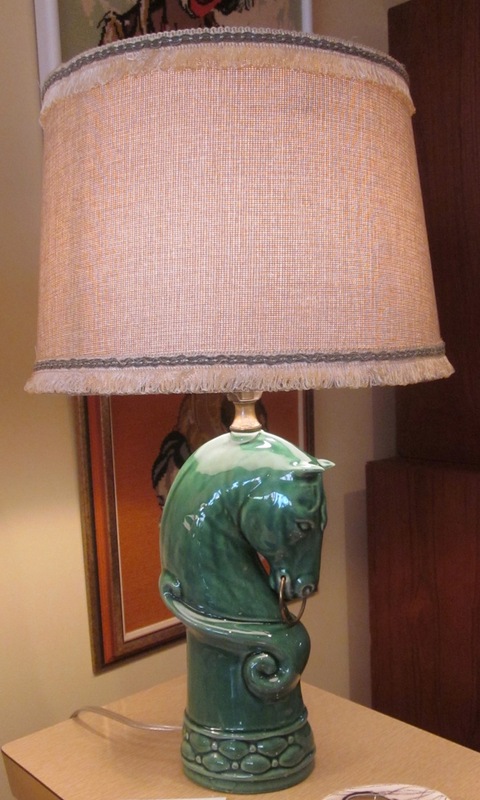 At Mrs.Nicholson Home, we have no fewer than three horse lamps in stock right now! The first one, in raspberry ceramic, could be as early as the 1940s. It has a very stylized mane and a wonderful oblong shade with French trim. 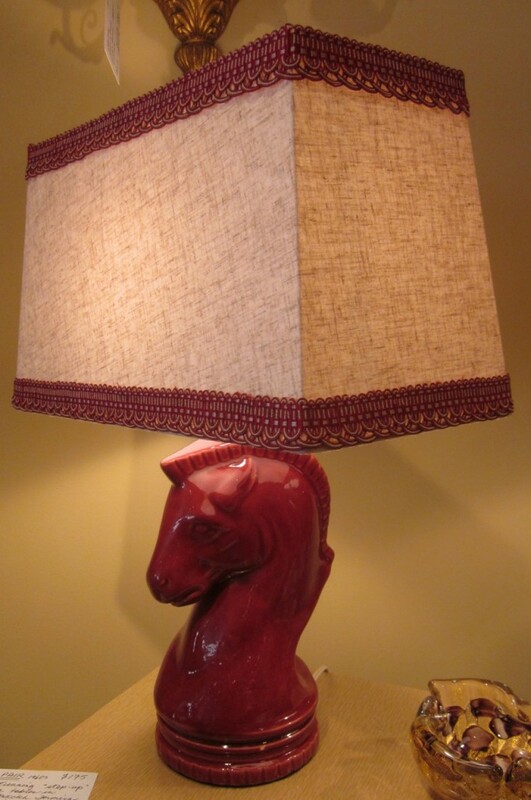 Raspberry ceramic horse lamp ($195). The second, in green ceramic, sports a brass bit in his mouth. His modern lampshade is trimmed in 70s braid. The last, a prancing horse in a mottled brown and yellow ceramic, has a vintage fibreglass shade. « Nova Scotia: ain’t it the truth?